Hastings informed gathered press of the company's plans at a media event at Netflix offices in Los Angeles, reports Recode. "Apple's a great company. We want to have people watch our shows on our services," Hastings said. The move is unsurprising considering Netflix has yet to adopt Apple's most recent revamp of the TV app for iOS. Currently, the streaming service does not integrate with Apple's content hub, meaning content is siloed to the official Netflix app. 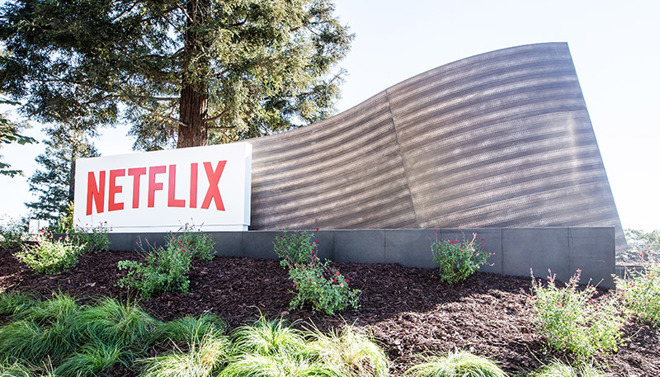 As Apple's plans for a competing streaming service began to materialize last year, Netflix slowly distanced itself from the tech giant's ecosystem. In November, for example, Netflix stopped accepting new subscriptions purchased in-app and consequently processed by iTunes. By channeling users outside of the App Store, Netflix is able to avoid Apple's customary revenue sharing policies. Ted Sarandos, chief content officer at Netflix, said the decision was made to move away from App Store subscription fees because the platform was not an important revenue source, the report said. Apple is widely anticipated to launch a video streaming product at a special media event next week. A report earlier today claims the company might have as many as 11 shows ready to preview at the media gathering. While specifics have yet to be revealed, the as-yet-unannounced service is rumored to incorporate both original content and options for users to subscribe to other services. Speculation last year suggested Apple would make its own content available for free via the TV app, where it would also sell subscriptions to third-party services. Apple's service is not expected to arrive until later this year, with the March 25 unveiling serving as both a teaser for consumers and reassurance for partner production companies. AppleInsider will be covering the event live on March 25 at 10 a.m. Pacific, 1 p.m. Eastern. Well considering the service may be months away, its possible Apple hasn't started talks with Netflix yet, but with that said I think they want to compete, not join Netflix/Hulu/Amazon in providing service. I would like it if Netflix content showed up in the TV app. I find it very convenient to just click the TV button on the Siri Remote and see most of what I’ve been watching lately. It isn’t uncommon for me to see a show there that I had forgotten I had been watching and then continue. It’s harder with the Netflix app. Not to mention it annoys me that I have to select “Who’s watching?” every single time I open the app when there’s only one choice, me. I hope Netflix and Apple don't fall out. I'd hate to see Netflix be lost to the Apple TV. Hopefully they won’t start acting like Spotify. I.E: Embrace few or none of the platform specific features available to them, while simultaneously complaining about the high level of integration afforded to Apple branded services. I notice Netflix still haven’t even embraced the “up next” feature in AppleTV. In that case, I guess I will have to drop Netflix when Apple TV streaming package is released. This is about who controls the data. Customer habits have value. To track them, Netflix needs to maintain a separate app. Duh. Why would Netflix want to pay Apple 30% or 15% of subscription revenue? Apple is on a path to depleting their own ecosystem of diversity and selection. Why is anyone surprised that other companies don't want to pay to be in the space where Apple is a direct competitor? There used to be a time when Apple as a matter of policy never competed with their content providers or software developers on their platform. But not any more. – Obviously Timmy has too much time and money on his hand. There are a million ways to get Netflix. And it is an entertainment behemoth. The loss will be Apple’s not the other way around. I seriously doubt that any video service from Apple will not offer it. It would be a mistake not just for the loss of an important entertainment option, but for the negative signals it sends to others. Please stop the history rewrite. From the start of the App Store Apple competed with their content providers and software developers. Apple provided every developer the opportunity to do better and/or different than Apple. Apple also provided and still provides every developer the opportunity to develop free native apps, native apps that cost whatever the developer wanted/wants to charge and/or Web-based apps. Every upgrade to the Netflix app for iPhone, iPad, Apple TV is still made available to Apple’s customers as long as the developer’s license fee is paid. Netflix claims its App Store earnings weren’t that great. I challenge Netflix to remove its app from the App Store to prove it can truly go its own way without Apple’s App Store. How did they compete with their content providers and software developers in the iOS app store with a handful of titles published vs the millions of Apps and countless categories provided by non-Apple developers? Apple's history of neutrality with developers and content providers did not start with iOS, but dates back to just about as far as the history of the company. Even right after the launch of the Mac in 1984 you had a healthy catalog of apps developed by non-Apple developers and Apple did never try to compete with them, but worked to enhance and improve their creations by adding better hardware, system software, dev tools and utilities to their lineup. It is just Timmy who is fixated on suddenly getting "creative" as the behest of their core products. What he risks is throwing the baby out with the bathwater. Also if Netflix's revenue on the App Store never was great, it does not cost them anything to just remove their presence. Then Apple can sit there with their 11 own productions and a load of disgruntled customers. The Apple TV app doesn’t cover everything I watched so its useless to me. Netflix shows are 80% of my TV time. Making a profit is probably of more importance. Giving Apple all they earn from you would be downright silly of them, in essence they'd be working for Apple. Getting Netflix on nearly any device is really simple, so going thru Apple to do so is a needless expense IMO. Apple would make the same choice if the chairs were reversed IMO. Who doesn't know about Netflix? If Apple offers subscription to the big name movies, then it maybe a serious competition. So far Netflix's movies selections are still weak. It's their original contents that are thriving. Needless expense? We who have lots of Apple products in the Apple ecosystem find using the Apple TV and all the other benefits it brings very nice thank you. Running Netflix via Apple TV is great. Of course, you wouldn't know not having any products from Apple, would you? I would agree with you if Apple improved their GUI. As with many of Apple's services lately, I find them a mess. You mean on the AppleTV I own ? Of course you wouldn't know since you're more worried about who wrote the post than whether the opinion might be valid. Gosh, who knew I could get Netflix on it, in addition to via my Tivo (rarely used now), and Roku TV's (favorite way), Roku's own hardware (not sure where mine is) and Nvidia Shield (2nd fav, but dislike remote, use phone app), and Pixelbook, and photo laptop, and office computer... Yes it's that easy to get Netflix. It doesn't appear they rely on you subscribing via your Apple TV which is exactly the point I made, for Netflix it is a needless expense in their view even if it isn't in yours. You on the other hand want to argue that I'm wrong by talking about how nice the Apple TV is. Can't you use Netflix on it even if you didn't subscribe there? My AppleTV is as rarely used as my Tivo at the moment, with the ATV remote it came with even worse than the Shield's IMHO which I wouldn't have thought possible. I thought you were following behind me close enough to sniff and would have already known. EDIT: Seems even the reviewers on Apple's own commerce site don't care much for the remote so it's not just me. He never said they wouldn't have an app. There's a difference between not having an app and offering in-app subscriptions. I am sure, anybody who wants to subscribe to Netflix can figure out how without using the app store. That is what Netflix does not want to provide. Some are assuming this means the Netflix app will go away. I think not. You can subscribe to Netflix through the Amazon Prime app and I think that’s what Netflix is talking about. It will not be available through the Apple TV app but Netflix’s own app will remain on the tvOS platform.